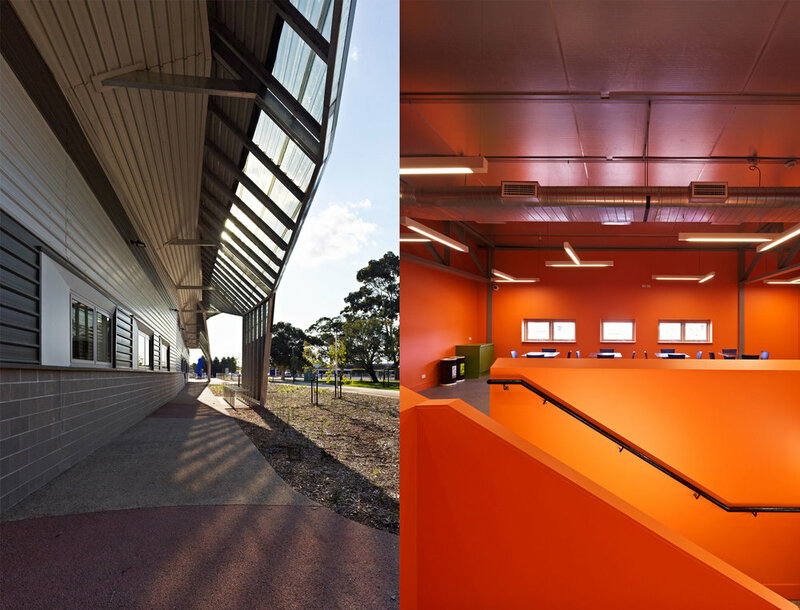 Paul Morgan Architects’ Chisholm Institute, Automotive and Logistics Centre in Dandenong is an apprentice training facility. The building borrows from ‘streamlining’ techniques used in design of high performance vehicles, delighting students. Responding to the flows of movement through the city—freeway networks, freight movements, wind dynamics. 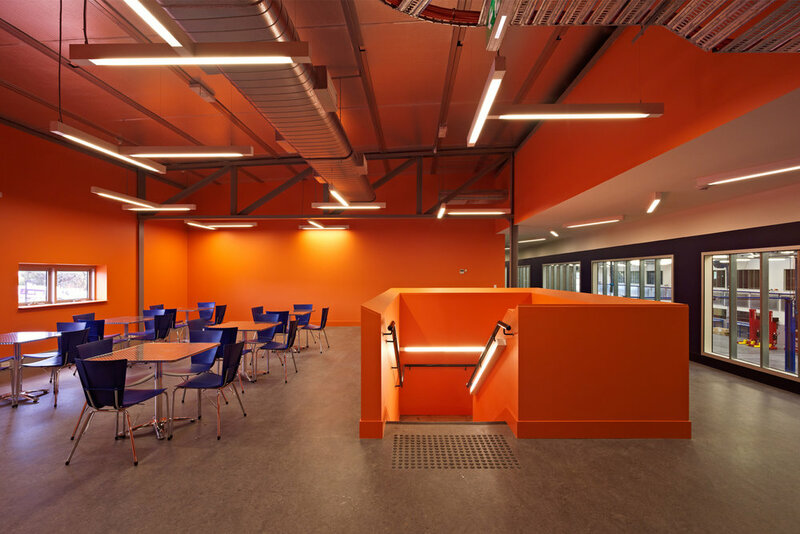 To design this building – a training facility for automotive and logistics apprentices – we borrowed from the ‘streamlining’ techniques used in the design of high performance vehicles, ‘tuning’ it to both its environment and its purpose. The resulting building form has more than a hint of muscle car to it, to the delight of its students. This streamlining approach has also reduced the building mass in the streetscape, while the resulting ‘performance shell’ responds aerodynamically to wind conditions and thermally to solar orientation and penetration, to help with passive heating, cooling and ventilation. We used computational fluid dynamics software to assist in structural optimization. The patterns created using this software assisted the landscape architects Rush Wright Associates in their design of the soft and hard landscaping. The ‘proscenium’ on Cleeland Street and picture windows on the north elevation reveal the mechanisms of the training process and expose the Institute’s learning programs to public view. Training areas in the completed building include a workshop hall, spray booths, wash bay, heavy practice laboratory, diagnostics laboratory, injector testing laboratory, automatic transmission laboratory, metal form area, machine shop, aluminum room, welding area, alternative fuels and engines area, fuel rooms, gas store, tool room, forklift training, warehouse simulation (logistics) room, classrooms, student lounge and staff offices.